A Rolex “Panerai” Ref. 3646 Type C, case number 1010344 with a “Radiomir Panerai” engraved sandwich dial, produced in 1942 will be part of the “Fine watches & wristwatches including the collection of an European nobleman” auction held by Bonhams in London on Wednesday, December 14, 2016. After a detailed inspection of the pictures provided by Bonhams the watch appears to be a very interesting piece with matching parts and an oustanding “first generation” sandwich dial. This watch was not documented in my database and perhaps it is new to the market. 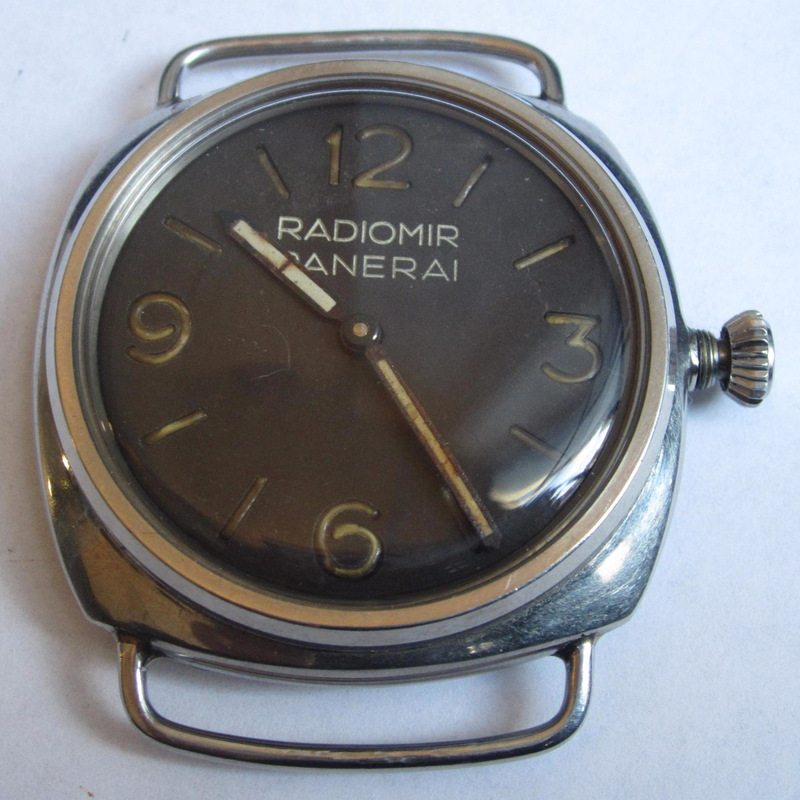 The dial of the present watch appears to be a “first generation” sandwich dial with “Radiomir Panerai” engravings. The engravings look absolutely genuine. Unlike other dials from 3646 Type C watches, which typically developed a distinctive “dark red” patina underneath the arab numerals and markers, this dial remained clear and features a “creme” colour instead. This “first generation” sandwich dial is the first I have come across so far with this peculiar “clear patina”. In order to keep the dangerous Radiomir (Radium) luminous substance in place, G. Panerai e Figlio developed a method to “seal” the cut-outs with a transparent material. This transparent substance was prone to shrinkage under certain circumstances and over time. The filling of the cut-outs is in most cases “concave”. On this particular example it seems to be slightly “convex”, perhaps a deformation due to the shrinking. The hands of this watch have developed a nice patina over the years. The blue colour is due to a method to prevent hands from rusting too quickly and was achieved by heating up the steel to a certain temperature. Depending on the temperature the material can develop slight colour deviations. Early 3646 middle cases have a slightly asymmetric profile. Although Bonhams did not provide a picture in full profile, the available images suggest that the shape of the middle case is correct. The “high” bezel is also typical for this type of watch. High bezels were fitted in combination with thick sandwich dials (>2mm). 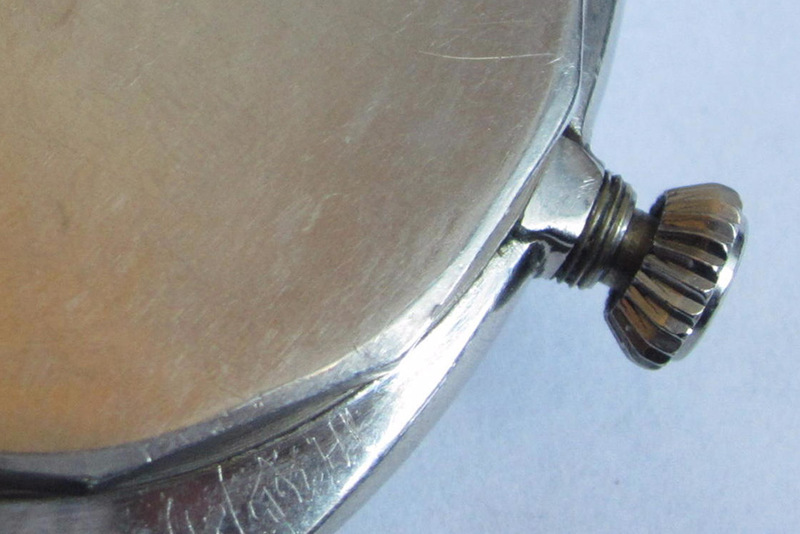 Another characteristic of late 3646 Type C cases is the way the crown tube was soldered to the middle case, especially on the rear side. Several Type C middle cases are known to exist with exactly this distinctive attribute. The crown is a typical Rolex Oyster No. 11 (Onion) and appears to work just fine. 3646 Type C watches were the first 3646 to be signed as Rolex watches. 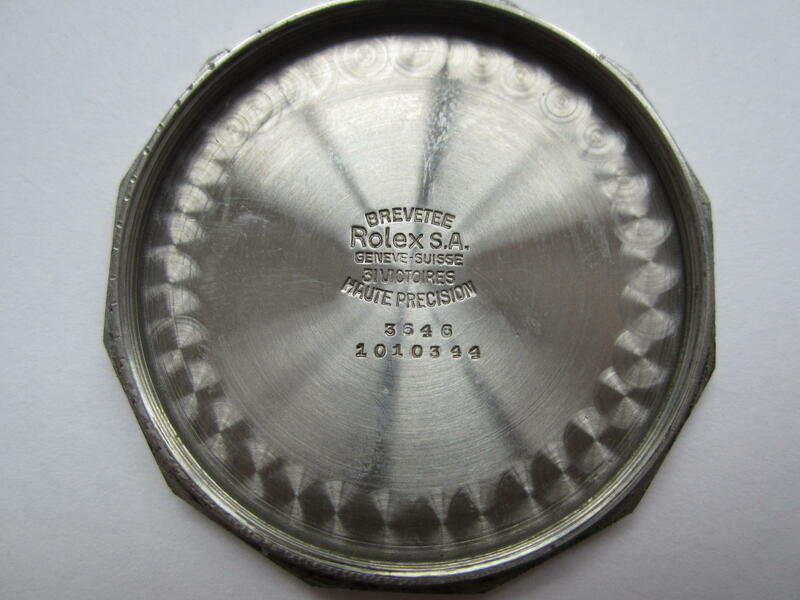 All 3646 before were stamped with Oyster Watch Co., a parallel brand of Hans Wilsdorf/Rolex. 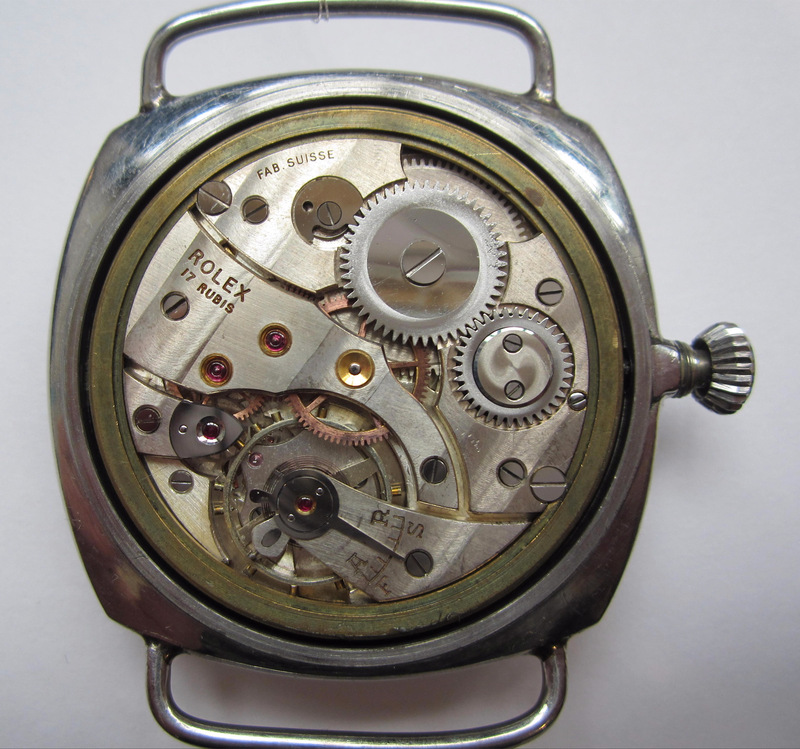 It is unknown what caused this change of mind to switch from Oyster Watch Co. to Rolex S.A..
3646 Type C watches were manufactured within the pocket watch product line of Rolex with 7-digit case numbers. 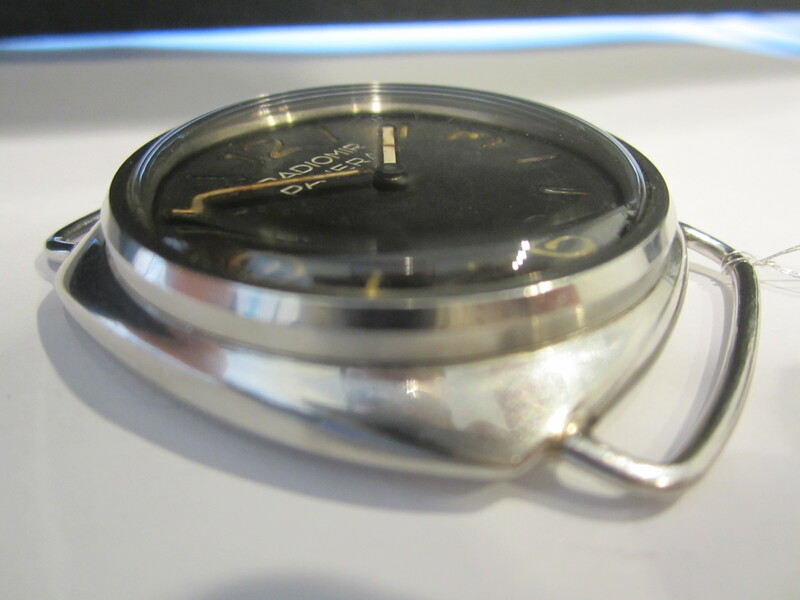 For the next batch of 3646 watches (Type D, Nazi Kampfschwimmer), Rolex S.A. switched to 6-digit Oyster case numbers. The reason for this change is also unknown. 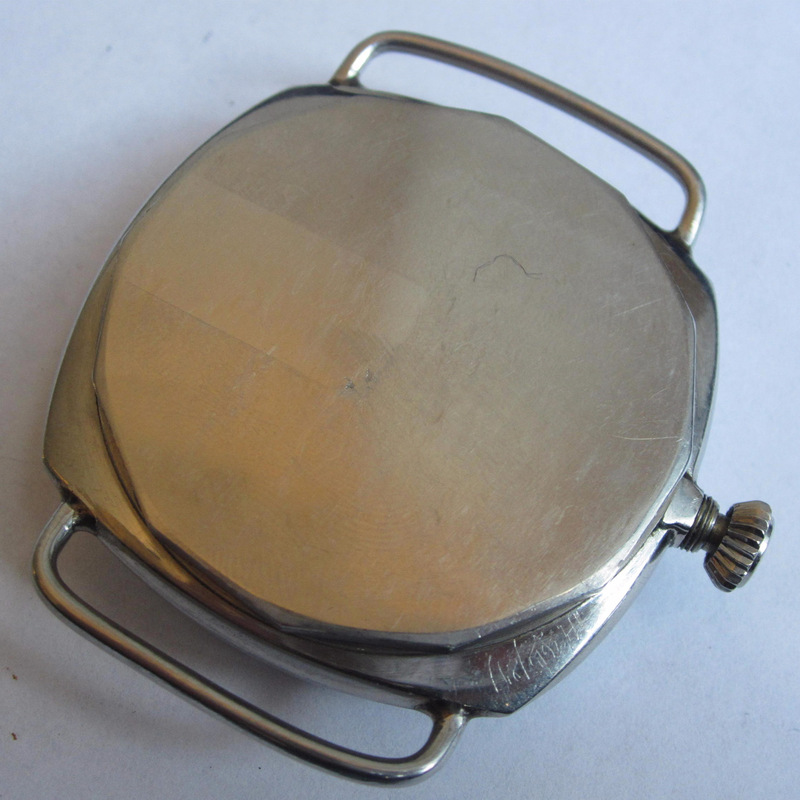 The movement of this watch is a Cortebert Cal. 618 Type 1a with 17 jewels and typical “Rolex” engravings on the train gear bridge which follow the upper curve of the bridge. The balance features the original Breguet overcoil balance spring. This unit is absolutely matching for this type of watch. In addition, it is also in excellent condition with very nice ratchet and crown wheels still retaining a flawless “swirl” finish. Another nice detail is the preserved red colour filling in the “Rolex” and “Fab. Suisse” engravings. The movement retaining ring with its “brass” colour is also perfectly matching this watch type. 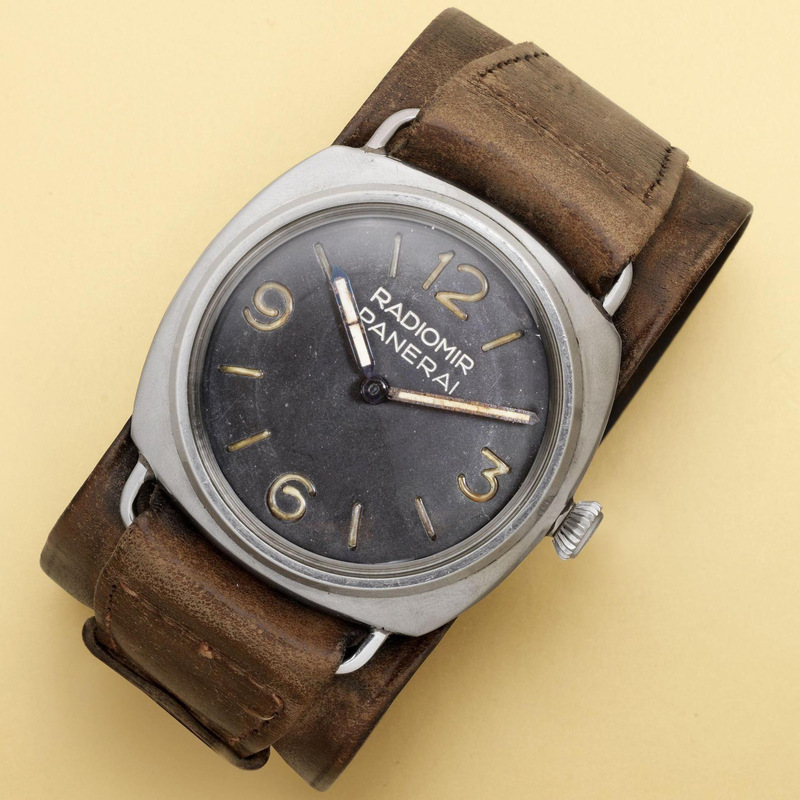 Lot 88 is an interesting Rolex “Panerai” 3646 Type C with a remarkably well preserved “first generation” sandwich dial. The watch appears to be all original with matching parts, except the leather strap. Unfortunately not much is known about its provenance. According to Bonhams the watch has come from a private collection where it was originally sourced from a military connection. 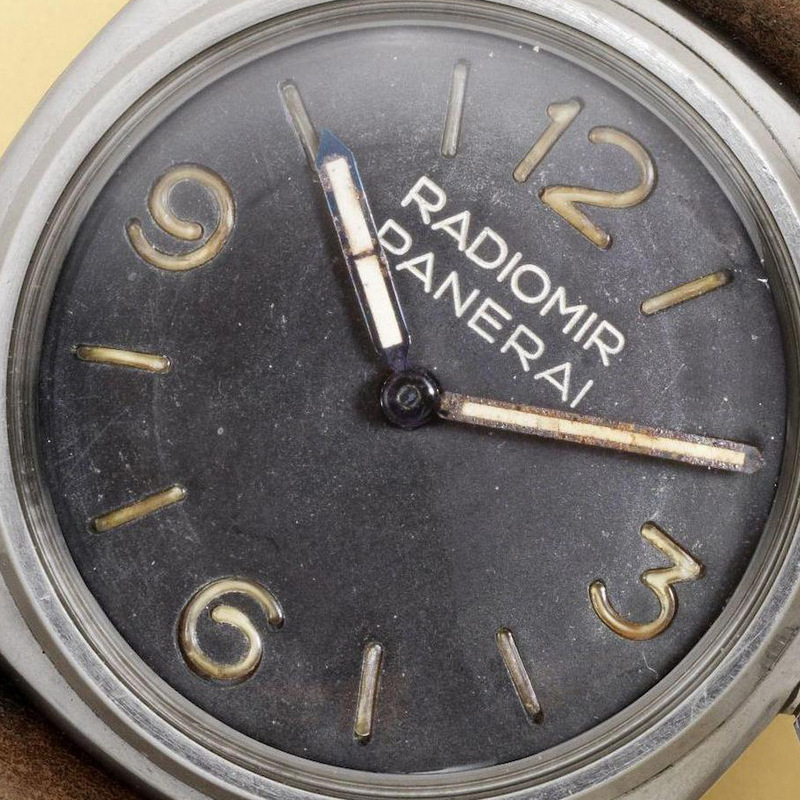 Most watches with “Radiomir Panerai” inscription were used by the Italian unit “Decima MAS” during WW2. A watch with a similarly “late” case number, 1010366, was on the wrist of Licio Visintini when he was killed by a depth charge on December 7, 1942 in an attempt to infiltrate the British harbour of Gibraltar with a SLC (Siluro a lenta corsa) manned torpedo. Please do not hesitate to comment and share your thoughts at the end of the page. If you have any question please use the comment function to get in touch with me. Comments are not displayed automatically. I am contemplating a purchase of a 3646, case # 1010362. Would like your thoughts on it if I can share pictures. Some things are suspect as it has a California dial installed currently but also has a sandwich dial with no engraving included. Pls send me a Whatsapp message.